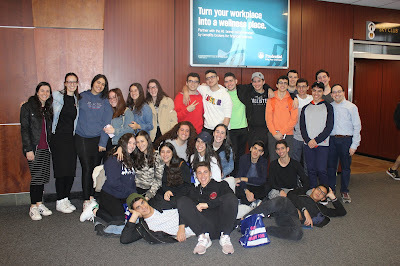 This morning a group of 24 seniors headed to JFK at 6am to board a flight to New Orleans, Louisiana for the New Orleans Chesed Trip in partnership with NSCY. Upon their arrival they went straight to the world famous Cafe du Monde and enjoyed their signature beignets. The students enjoyed the glorious weather and ate lunch outside. 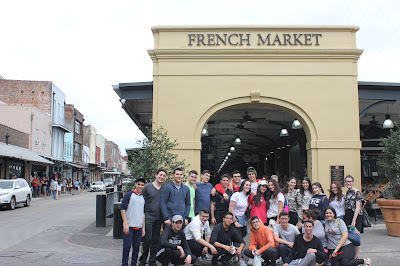 Next they visited the French Quarter Market and were able to buy many items of memorabilia pertaining to New Orleans. 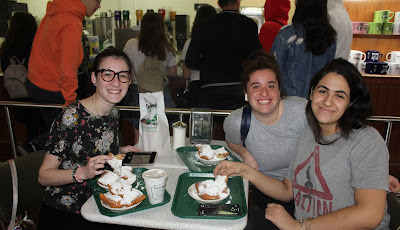 There were so many interesting things and oddities that were unique to New Orleans. We then walk along the Riverwalk where we enjoyed the cooling breeze of the Gulf. All the walking led to the National World War II Museum where we watched an interactive 4D film experience about The Total War that went Beyond All Boarders. 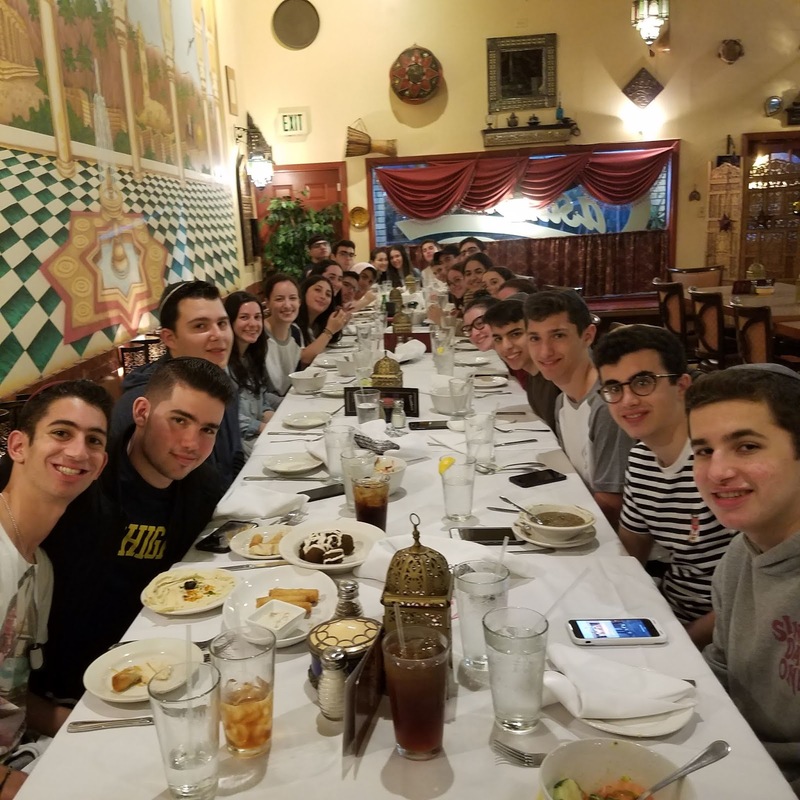 For dinner the students enjoyed a wonderful dinner at Casablanca, and afterwards went to Rock N Bowl for bowling and a live performance of dancing and an orchestra. 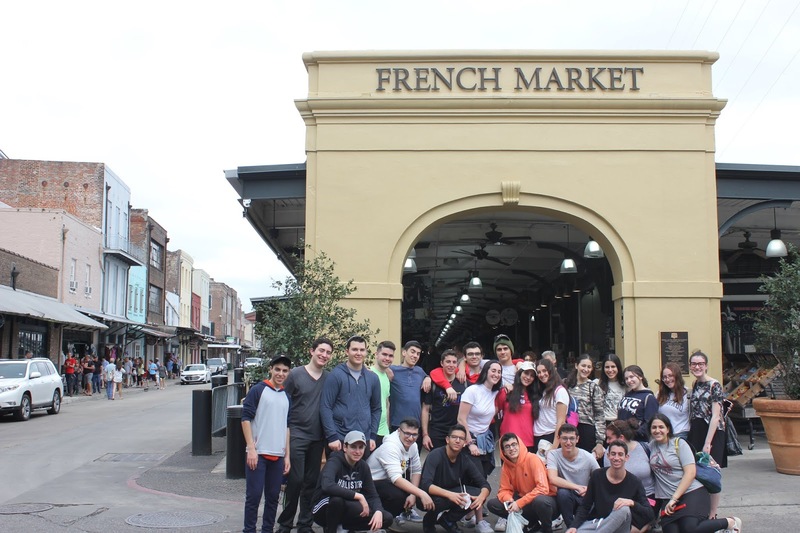 Students then went to Walmart to stock up on food for the coming days. This was the end to the first wonderful day in New Orleans.